Teaching Fellow Haley Ervin, ’18 has always had a love for math and a passion for teaching. So, at Meredith she pushed herself to become a well-prepared teacher for her future students. Haley chose to attend Meredith because of its reputable education program. She is majoring in mathematics, while earning 6-9 and 9-12 licensure. After graduation, she hopes to return to her hometown in western North Carolina and become a high school math teacher. Haley is excited to show her students why she enjoys math so much. “It really teaches you to problem solve and think critically. I want to teach kids that it’s more than just the numbers,” Haley said. Aside from developing her teaching skills, Haley has also been pushing herself on the softball field. She has been an outfielder on the Meredith softball team for four years and has earned numerous accolades. Haley is a three-time member of the USA South All-Academic Team, has earned All-Conference and All-East honors, and was a 2016 National Fastpitch Coaches Association All-Atlantic Region selection. She also sits second all-time in stolen bases and leads Meredith with the highest season batting average and on-base percentage. 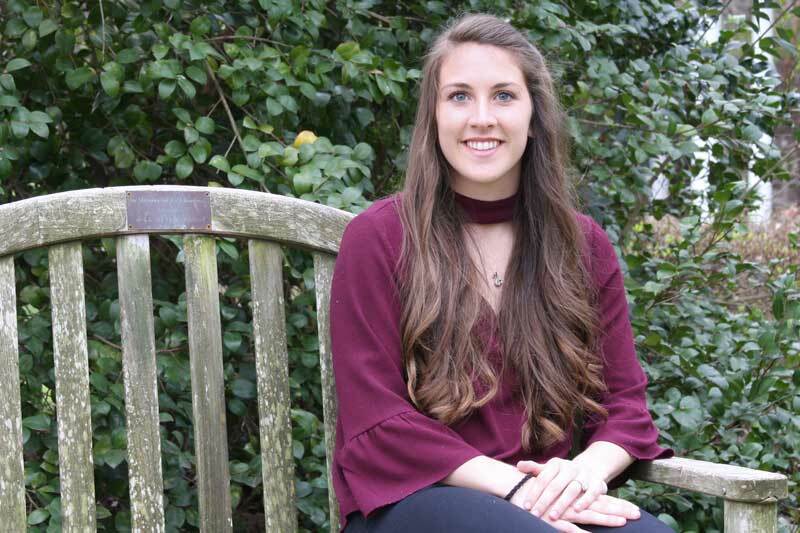 Off the softball field, she has studied abroad in Italy, been president of Meredith Educators, and is a member of Pi Mu Epsilon National Mathematics Honor Society. She says being involved has helped her experience diversity and new friendships. In Italy, Haley was part of a study abroad trip for educators where they visited a number of schools to learn about the education system in Italy. This was by far Haley’s favorite experience. Haley admits that although she has enjoyed her experiences at Meredith, being away from home was a challenge at first — one that she’s had to overcome. However, through close friendships with her teammates, her softball team has helped her overcome that challenge. As her graduation approaches, Haley is looking forward to her career as a teacher.